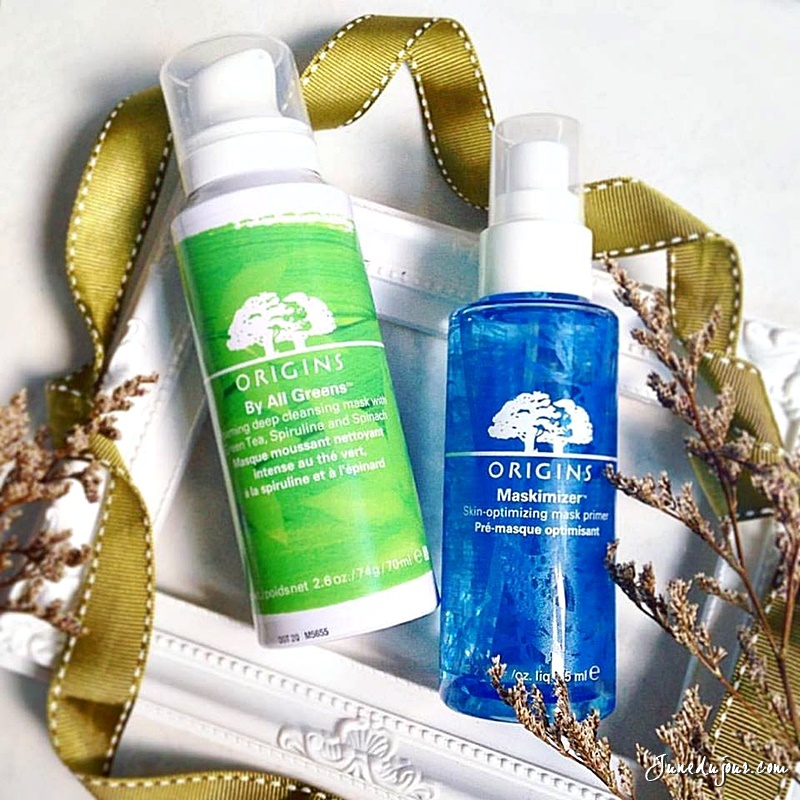 Detox Your Complexion with Origins By All Greens Foaming Cleansing Mask & Maskimiser Mask Primer! I always love me a good mask ritual weekly, because it's become a necessity given our increasing polluted environment we live in. (Sumatra Haze, I'm looking at you) Think about it, we face severe dehydration from our air-conditioned offices, smog grime and sun damages from being outdoors. These days, a simple cleanse and moisturize routine isn't nearly enough, and I'm glad to add the anti-oxidizing Origins By All Greens Foaming Cleansing Mask & Maskimiser Mask Primer to my regime! Using the same principle that a wet sponge soaks up water better than a dry one, the Marine Algae Complex in the Origins Maskimiser Mask Primer ($38) helps hydrate and soften skin so it’s better ready to accept a mask. It's rich in polysaccharides, potent anti-irritants to soothe skin, the formula keeps skin strong and calm, bringing skin to an optimized state. FYI, the Marine Algae Complex comes from the coastal waters of South America, and is highly touted for its moisture-retaining ability. This hence optimizes skin’s condition and primes skin to perform at its peak and makes the skin more receptive to a mask’s active ingredients, even making mask application and removal easier! Using osmotic technology to instantly create hydration “cells” to boost skin’s ability to bind moisture. This then causes the epidermis to become softened, conditioned and prepped, to booster the mask's benefits. The MaskimizerTM was specially formulated to hydrate, condition and prepare skin for all types of mask treatments, so it's a definite must have for me since I personally have a collection of Origins Masks that I rotate on a weekly basis.So what you do is simply hold a spritz a sufficient amount all over the face, the mist has a lightweight toner-like consistency, and leaves skin a slightly tacky layer. Next up, I proceeded to apply the Origins All GreensTM Foaming Deep Cleansing Mask ($69), which features a blend of nutrient-rich Spirulina (similar to those in health drinks), Spinach and Green Tea – which boosters the detox the body and boost immunity, and Spinach replenishes and fortifies skin with vitamins, phytonutrients and antioxidants. When dispensed, the liquid mask has a slightly thick milky green creamy texture. The self-activated green clay instantaneously transitions into a cooling rich foam that feels comfortable to the skin in our humid weather. 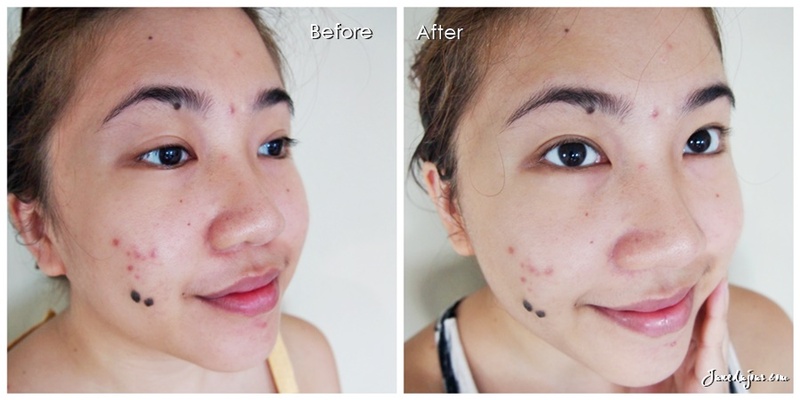 The mask can remove residual makeup, impurities and pollutants as well as unclogs pores. I like this much better than the Elizabeth Arden Ceramide foaming mask that I've used previously. give its mildness and comfortable usage. The mask also contains coconut derived cleansers which are gentle surfactant comprised of fatty acids from coconut oil to keep skin hydrated while masking, and Kaolin Clay, a highly effective ingredient for absorbing toxins and impurities from skin to achieve the ultimate cleanse. The mask applied smoothly onto my face, and begans bubbling up into a rich foam almost immediate upon application. The Origins By All GreensTM Foaming Deep Cleansing Mask features a glorious essential oil blend of Spearmint, Lemon, Orange and Bergamot, which was amazing to smell as I slather it on my face. About 3-4 minutes later, when the foam dissipated to leave a clear layer on my skin, I then rinsed off the foam residue easily, without feeling that tautness that some masks leave you. I could immediately observe how clarified my skin looked and felt, (as pictured below), and I do credit this to the unclogging and deep cleansing of my pores since I had not done any masking for about 2 weeks prior to this review.I also noted that even the blemish marks on the side of my face had become significantly brightened. Very impressive! Overall, I am so glad to add the Origins By All Greens Foaming Cleansing Mask & Maskimiser Mask Primer to my masking collection. If you are a frequent user of masks or are looking to try out something new, I would definitely recommend both products. I found it mild yet very effective on my oily combination skin...Origins really can do no wrong when it comes to skincare! Both featured products are currently available at all Origins counters and at the ION Orchard boutique store.